I think that problem might be caused by poor handling of paletted (8-bit / 256-colour) textures on Windows 8 and newer. It seems to result in the game making black parts of textures transparent (normally the game would use magenta for transparency). 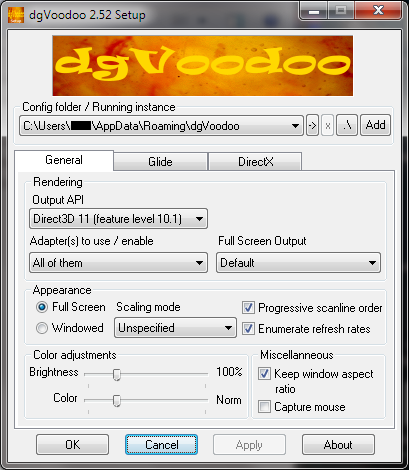 dgVoodoo will probably fix the issue if you can get it working with Machines - instructions here. the game uses direct 3d and not 3dfx. 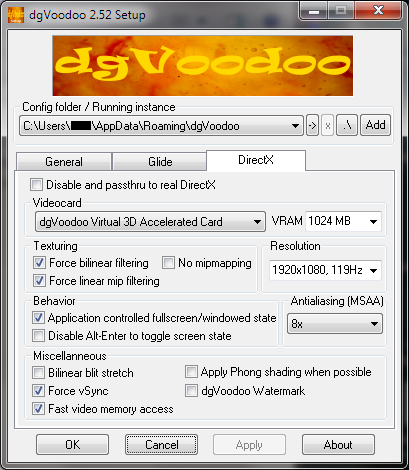 dgVoodoo can wrap Direct3D 1-7 and Direct3D 8.1 to Direct3D 11 (as well as wrapping various versions of 3dfx Glide). as for the issue: it is not windows related because it looks good in windows 10. i suggest reporting it to nvidia as then they might solve it. Interesting. The PC I tested Machines on Windows 10 on had a GeForce 900-series GPU - maybe it occurs on that generation onwards? (my Windows 7 PC has a 700-series GPU and doesn't have this issue). Did dgVoodoo fix the visual issue when you tried it? Control problems could be caused by certain settings - possibly related to windowed/fullscreen state.